One of the most important things a business can do to be successful is uphold a good image. Companies and corporations do this by keeping their customers happy, providing superior service, lowering prices, and maintaining integrity. When new customers approach a company for a product or service, or walk into a store for the first time, they haven’t had any prior experience with which to judge the business. Therefore, they establish a first impression based on what they see. This is why commercial window cleaning Chicago is such an important factor in maintaining a professional business image. Customers approaching an office or storefront do not expect, and neither do they want to see, dirty windows. For one, streaky or smudged glass ruins the view of any display items standing behind it. Dirty windows of an office also make people wonder why the employees there haven’t bothered to do something about the grime collecting on the glass. As the saying goes, you never get a second chance at a first impression. Seeing dirty windows may seem like a small detail compared to a company’s lucrative business sense or fine merchandise, but to the consumer it says a great deal. Unfortunately, clean, sparkling windows do not happen simply with a bottle of glass cleaner and a roll of paper towels. To give your business a truly beautiful, smudge free appearance, thereby establishing an equally pristine first impression, there is no better option than professional window cleaning. Commercial window cleaning in Chicago, with our ever-changing weather conditions and windy skies, is the best way to maintain your storefront, restaurant facade, office building, or other commercial establishment. You can expect high quality shine and efficiency when you contact Prime Time Window Cleaning. Not only will you be satisfied with the service and our prices, but your customers will be impressed by the pride you take in your business. Prime Time Window Cleaning is a company dedicated to protecting the environment with earth-conscious methods. We understand it is a responsibility and not a choice we have to keep our planet healthy. When you choose Prime Time Window Cleaning, you make it clear to consumers you uphold the same values. 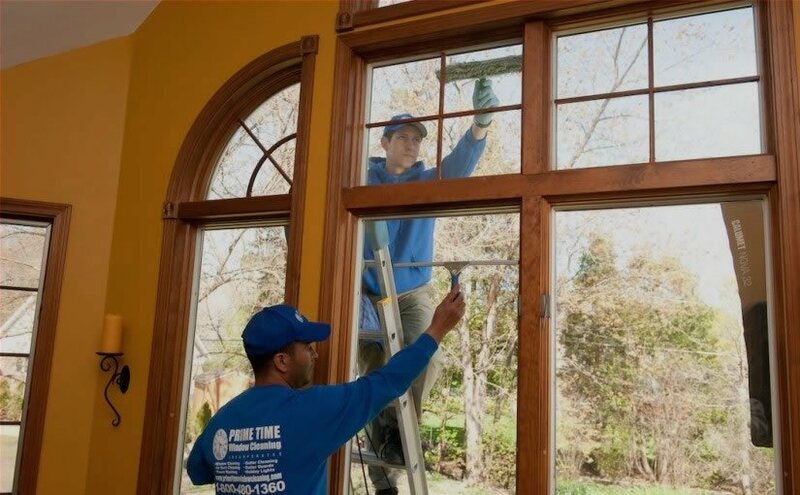 Prime Time Window Cleaning has been helping our customers improve their business image with commercial window cleaning Chicago, as well as many other services, for over twenty years. When you come to us, you are reaching out to established professionals who take pride in their work. 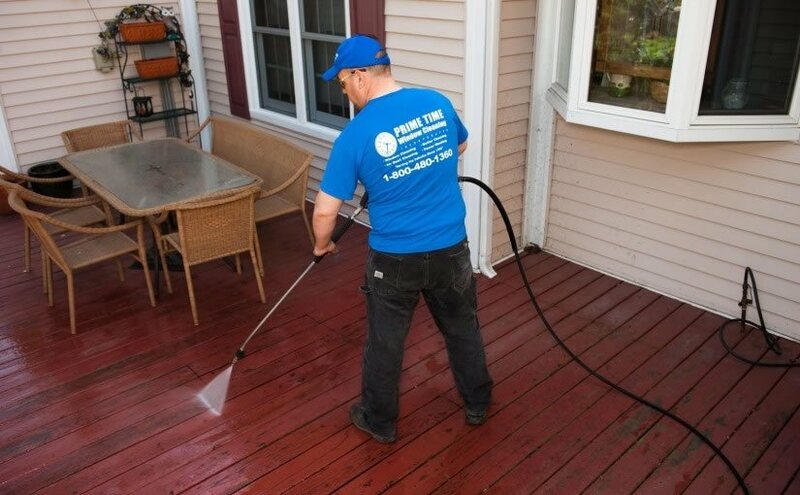 If you would like to make an appointment for commercial window cleaning services in Chicago, call us at 1-800-480-1360 today.